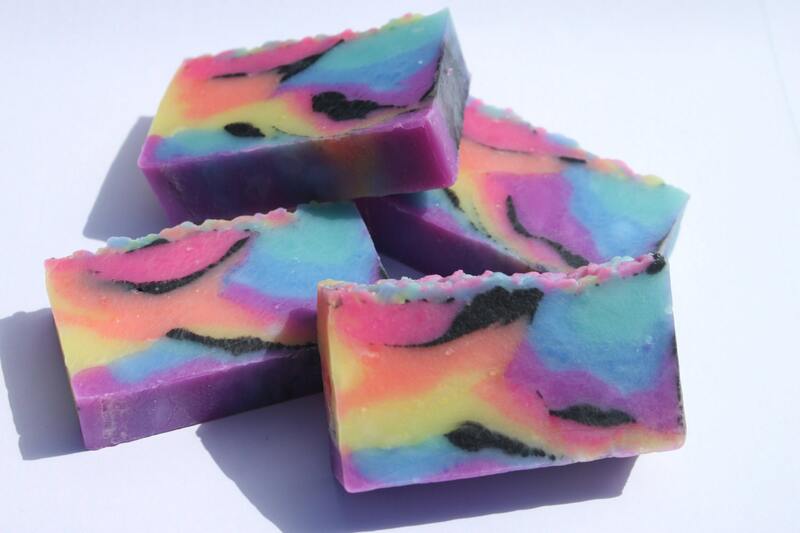 A super fun and colorful bath time soap that smells great. 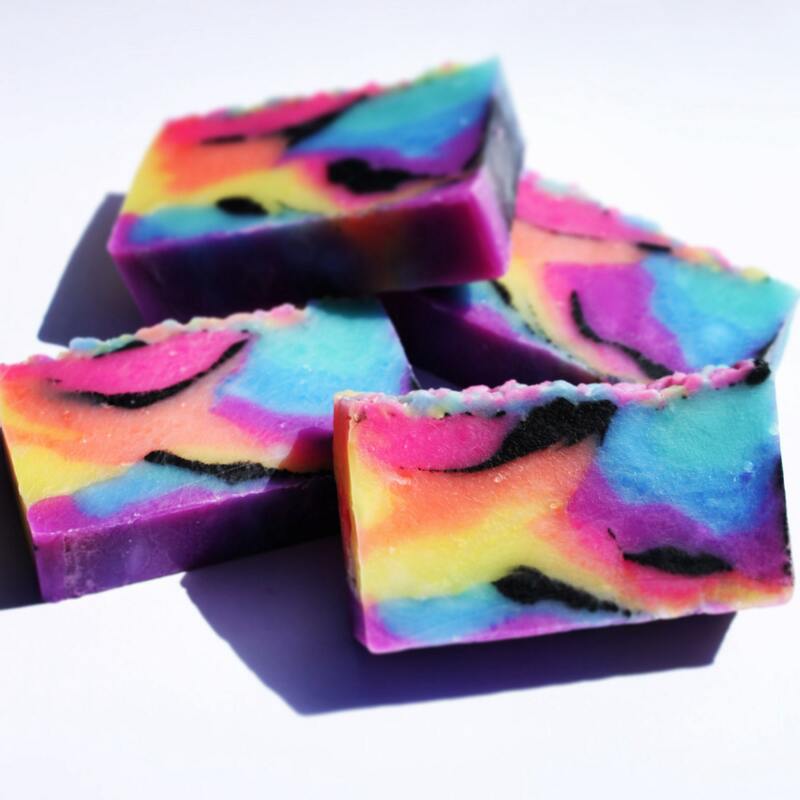 Neon tiger stripes brings the fun of the 80s back with a rainbow of neon blue, green, orange, pink and yellow. 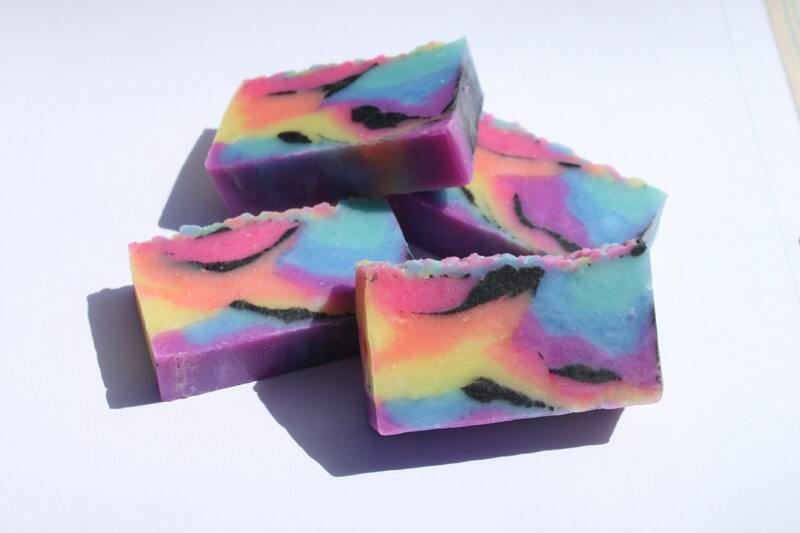 Plus a wonderful mix of fruity scents like orange, mango, guava and more that bring tropical fruity drinks to mind. Featuring cocoa butter and olive oil which are known to have skin loving qualities. 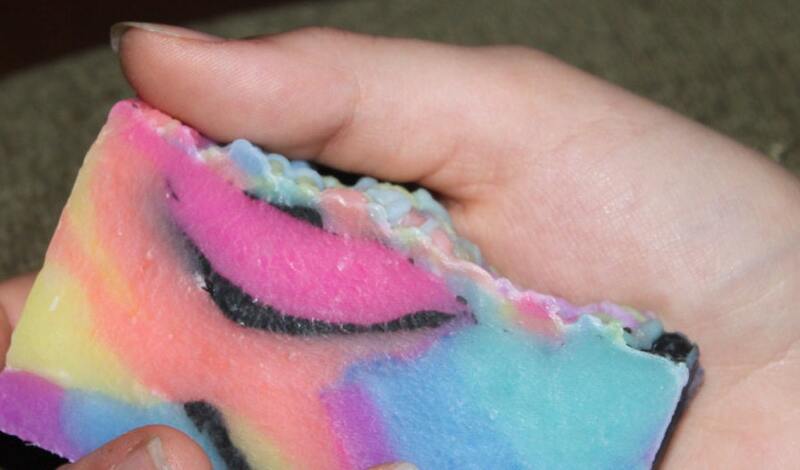 A lovely lather adds to the luxury of this radical bar of soap. 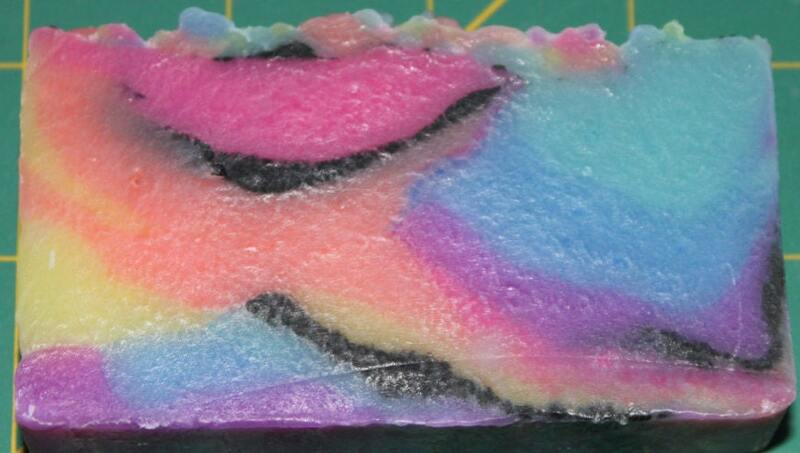 Our soaps are make with the cold process method of soap crafting in small batches with care and attention to detail. These bars are 2" x 3.5" and weigh approximately 3.5 oz. Great for fitting in the palm of your hand or cut them and use half at a time and keep the other half tidy.